The Wine Club - Jim Futrell, Cabernet is King. Once a month, promptly at 7:00 pm, we get together to examine an element of the wide world of wine. We sample 6 or 7 wines with the knowledgeable help of a winemaker, an importer, a distributor or one of our staff. Kate prepares some culinary delights that match well with the wines we're trying or come from the region at hand. It's a relaxed evening with plenty of opportunity to ask questions, share experiences and develop new friends and broader palates. The fee offsets the cost of the class and ranges from $25 to $50 per person, $40 to $75 per couple. We limit the attendance so that we can properly handle the event. Classes usually fill about a week before the event. Call us at 703-668-WINE(9463) to reserve your seat!! Cabernet Sauvignon is one of the world's most widely recognized red grape varieties. It is grown in nearly every major wine producing country among a diverse spectrum of climates from Canada's Okanagan Valley to Lebanon's Beqaa Valley. Cabernet Sauvignon became internationally recognized through its prominence in Bordeaux wines where it is often blended with Merlotand Cabernet Franc. From France, the grape spread across Europe and to the New World where it found new homes in places like California's Santa Cruz Mountains, Paso Robles, Napa Valley, New Zealand's Hawkes Bay, Australia's Margaret River and Coonawarra regions, and Chile's Maipo Valley and Colchagua. For most of the 20th century, it was the world's most widely planted premium red wine grape until it was surpassed by Merlot in the 1990s. However, by 2015, Cabernet Sauvignon had once again become the most widely planted wine grape, with a total of 341000ha under vine worldwide. Despite its prominence in the industry, the grape is a relatively new variety, the product of a chance crossing between Cabernet Franc and Sauvignon Blanc during the 17th century in southwestern France. Its popularity is often attributed to its ease of cultivation—the grapes have thick skins and the vines are hardy and naturally low yielding, budding late to avoid frost and resistant to viticultural hazards such as rot and insects—and to its consistent presentation of structure and flavours which express the typical character ("typicity") of the variety. Familiarity and ease of pronunciation have helped to sell Cabernet Sauvignon wines to consumers, even when from unfamiliar wine regions. Its widespread popularity has also contributed to criticism of the grape as a "colonizer" that takes over wine regions at the expense of native grape varieties. The classic profile of Cabernet Sauvignon tends to be full-bodied wines with high tannins. The Wine Selections for this Class! 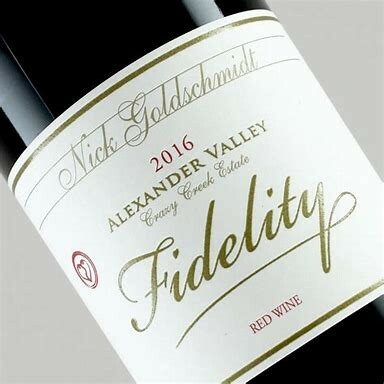 Medium-garnet; red fruit aromas of cherry, strawberry, and jam, with touches of vanilla; black cherry and black raspberry flavors; nicely balanced, medium weight on the palate with soft, supple tannins in the finish. 2012 – 98 Points / Gold Medal , North Coast Wine Comp. 2012 – Silver Medal, LA Wine Comp. 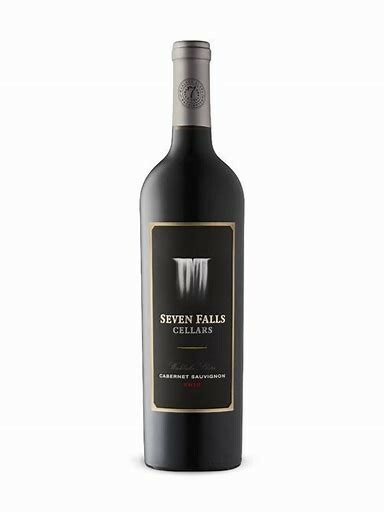 Rising from the mist, Seven Falls Cellars wine takes us on a storied journey that flows through one of Washington’s warmest appellations, rewarding the traveler with a powerful experience of bold and rich flavors that builds upon the legend of its birth, and the promise of the Wahluke Slope. 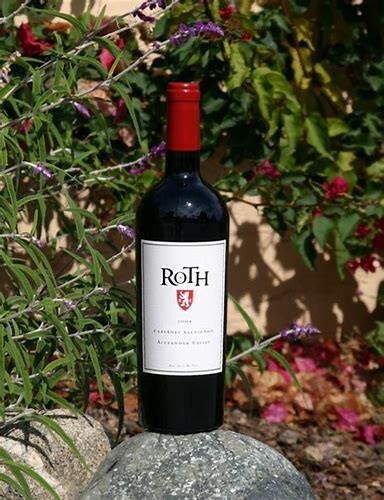 Roth Estate Cabernet Sauvignon is made from select vineyard sites within the southernmost hillsides of the Alexander Valley. This wine is a true reflection of the winery's passion for the noble Cabernet grape. 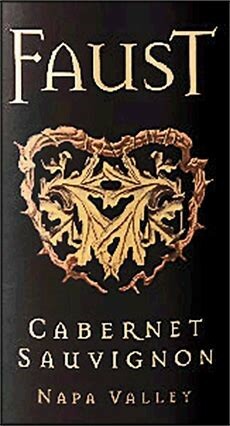 The 2015 Cabernet Sauvignon is dark in color with complex aromas of black cherry, cassis, and dark chocolate. Treana is the sum of elements that influence our wines. From the land that our family farms, to the warm California sun that nurtures and the cooling ocean breeze that balances. Today, the Treana legacy continues as the wines are made using grapes that flourish in our Paso Robles vineyards as well as other unique regions of the Central California Coast. Château de La Coste is the second wine of Château Paveil de Luze. Château Paveil de Luze is one of the oldest properties in the Médoc. The vineyard dates from the 17th century and is run by the Barons de Luze Family since 1862. Today, Marguerite and Catherine de Luze represent the sixth generation and continue to elaborate fine and delicate wines. Château de la Coste's vineyards are in the northern part of the Margaux appellation. 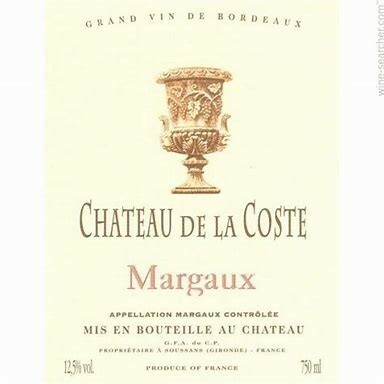 Margaux boasts 21 châteaux with classified growth status and is known to produce elegant, delicate, and fragrant wines. This excellence is a result of the soil quality, the unique weather conditions, and natural drainage which exists in the vineyards. Many say Margaux is the most feminine appellation in all of Bordeaux. With its brilliant ruby color, purple notes and an aroma of black fruits, cassis and hints of cinnamon and sandalwood, this wine is soft, satisfying and elegant with a lush berry fruit taste. This wine is a harmonious blend of flavors and is best matched with roasted red meats such as duck, peppered beef, and lamb shank. The velvety flavors of the wine shine through when served with asparagus wrapped in prosciutto and mushroom risotto dishes. Enjoy the wine with variety of cheeses such as Montrachet and aged Monterey Jack.